Log In to track Jason Aaron on eReaderIQ. to be notified each time the price drops on any book by Jason Aaron. to stop tracking Jason Aaron. Log In to track Kieron Gillen on eReaderIQ. to be notified each time the price drops on any book by Kieron Gillen. to stop tracking Kieron Gillen. Log In to track Angel Unzueta on eReaderIQ. to be notified each time the price drops on any book by Angel Unzueta. to stop tracking Angel Unzueta. Log In to track Leinil Yu on eReaderIQ. to be notified each time the price drops on any book by Leinil Yu. to stop tracking Leinil Yu. Log In to track Mike Mayhew on eReaderIQ. 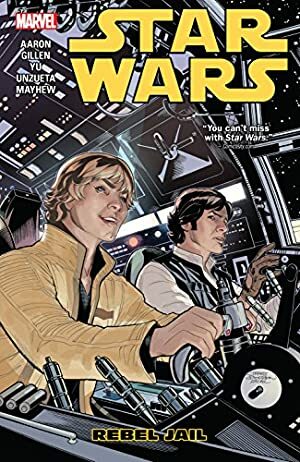 to be notified each time the price drops on any book by Mike Mayhew. to stop tracking Mike Mayhew. Log In to track Terry Dodson on eReaderIQ. to be notified each time the price drops on any book by Terry Dodson. to stop tracking Terry Dodson. We started tracking this book on August 17, 2016. This book was $12.71 when we started tracking it. The price of this book has changed 52 times in the past 979 days. The lowest price to date was $2.20 last reached on January 25, 2018. This book has been $2.20 6 times since we started tracking it. The highest price to date was $19.99 last reached on September 7, 2016. This book has been $19.99 2 times since we started tracking it.